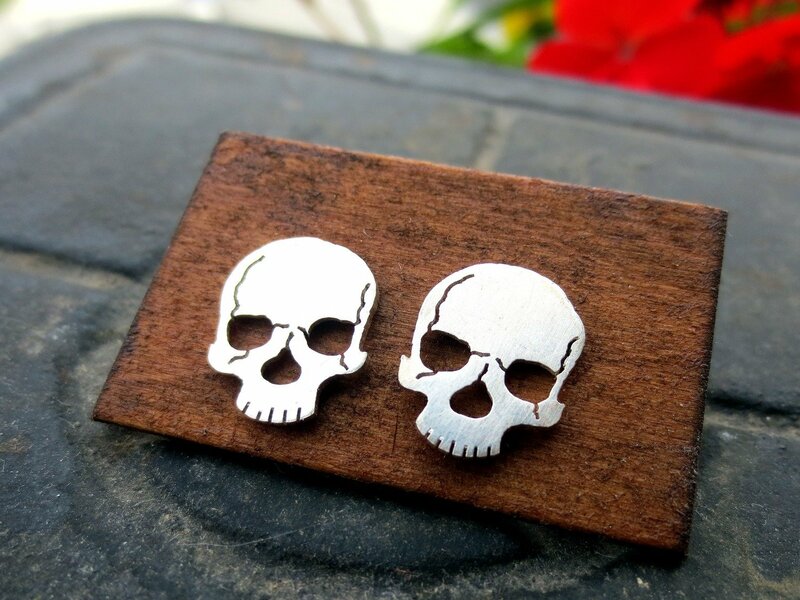 RIDE THE EDGE with these killer itty-bitty anatomical skull post earrings! Every tiny detail is hand sawn from sterling silver. Each skull measures about 3/8 inch by 1/2 inch. Securely soldered to sterling silver posts with matching sterling silver backs. Brushed finish. Created by Anatomical Element.